Originally studying cast glass in Whanganui and Stoke-on-Trent in the UK, Dan Campion worked for three years with bronze sculptor Paul Dibble. 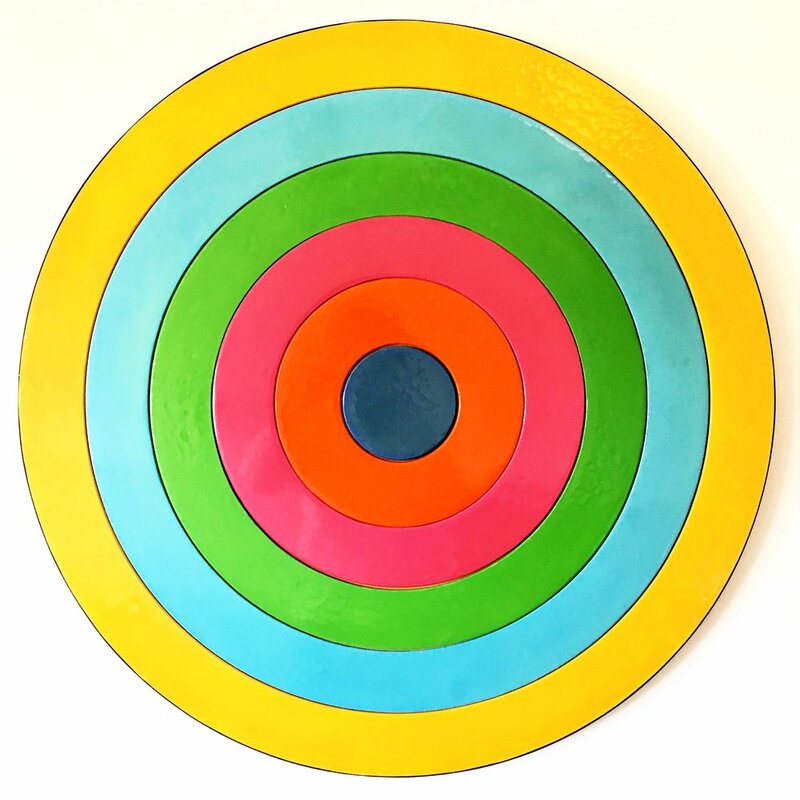 These sculptural processes eventually lead him to resin mould-making techniques and to produce highly coloured sculptures including his large circular targets inspired by the original television test pattern. The large coloured target pieces, created with layers of coloured resin on a frame, are made with reference to the human eye: "I've always had an aversion to the eye wanting to prove that art is more than something you can see, that there is more than retinal involvement. It is something that is visually stimulating, but there is something more behind it." Resin, builder's mix, paint, vinyl on board. Measures 120 x 84 cm diameter.